I watched a documentary on Woody Allen last night. He was honest and disarming and open. The documentary showed him in his young years, as a stand up comedian in The Village, and then it followed his career. His preoccupations, his themes, his unique humour was evident at a very early age. And it struck me that even in the films that Woody Allen doesn't star in, it's very apparent that you're watching a Woody Allen movie. This to me is the definition of an artist – having a unique and distinctive voice. You look at a Picasso painting, you know it's Picasso. Monet is Monet. Eric Clapton is distinctly Clapton. Neil Young, Van Morrison, BB King too. Stephen King writing Carrie, his first book, writes with the same voice even now. Dickens is distinctly Dickens. Scorsese has kept his style from Mean Streets and Alice Doesn't Live Here Anymore. If you know his work, you know when you're looking at a Frank Lloyd Wright house or building. There are all sorts of pressures stopping someone being an artist – maintaining an original voice. Financial pressures, pressure from critics and public opinion, confusion as to what's your path in life. That's where PGS kicks in. If you listen to it, it keeps you on your unique path. Righton Bill. I saw the doco as well. Woody is simply awesome! It was an amazing film Wayne wasn’t it. I thought it was funny when he talked about doing one take because he got bored and wanted to get home early to watch the ball game! I didn’t see the documentary but agree with everything you said. However, I have great difficulty reconciling my admiration for the talent and art, with my harsh judgement (yes!) of his affair with Soon Yi. So my opinion of him as a person is always mixed. Did the film address that? Hi Clare, yes the film did touch on that. It provided no judgement either way, but didn’t shy away from it. And it gave him the opportunity to talk about it. The incident knocked his career around for a while, but he’s since come back making even stronger films, I believe. Midnight in Paris I thought was magnificent – although I still don’t think they’re as good as Annie Hall, Manhattan, and Hannah and her Sisters. As a total aside, what happened to the “like” option on postings? Also to my gravatar picture. Seems like everyday is a new day with wordpress. I spend as much time re-logging in as i do comenting. Don’t understand the Gravatar – but agree with you – WordPress can be arbitrary. What are your favourite movies then Steve? I was fooling around with settings I might have done something. I’ll try and fool around again and get it back. Didn’t realise it was gone. Thanks for pointing it out to me. 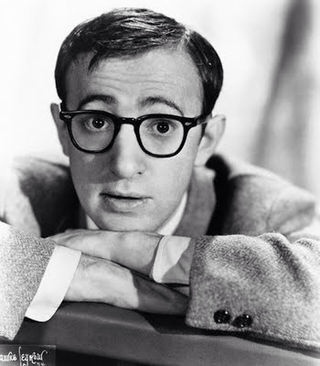 What is your favorite Woody Allen movie? For me… “Broadway Danny Rose.” A close second would be… “Match Point”. I’ve always liked Woody Allen. Soon Yi? Who am I to judge? A match made in heaven’s what that looks like to me! Broadway Danny Rose is a classic. I should have put it in my list of favs. I haven’t yet seen BLUE JASMINE, which I believe is terrific.